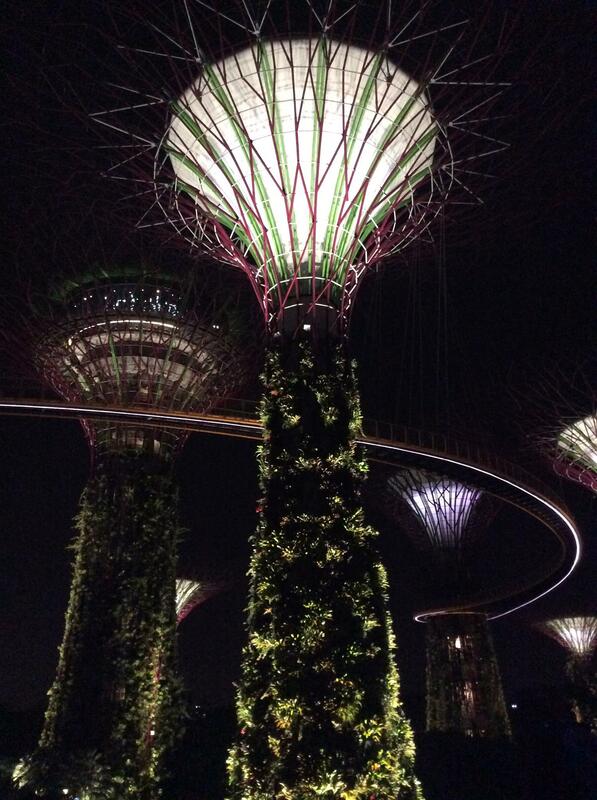 I just spent six days in the beautiful, organized, orderly, clean, amazing island city-state of Singapore! I was pretty impressed, not just by its organization but most importantly by its multicultural society that seems to work really well. 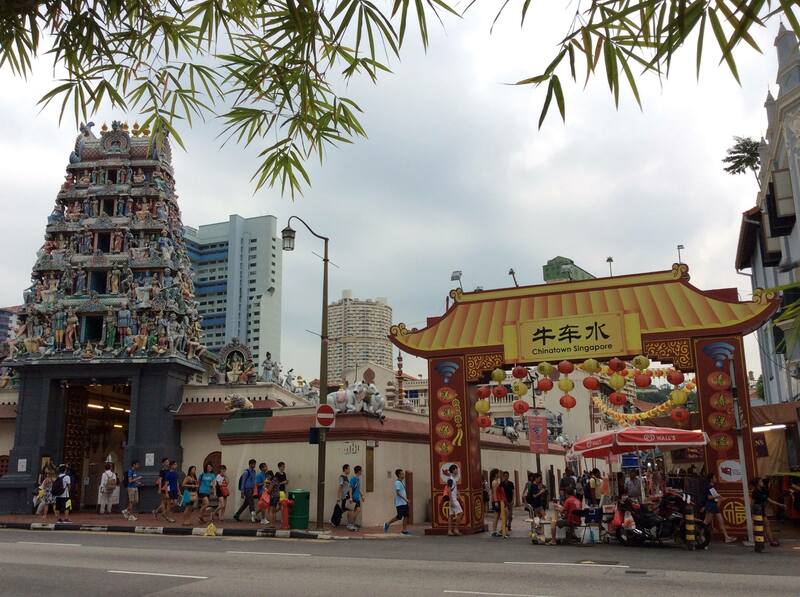 This is a truly globalized, multi-cultural and ethnically diverse place with four official languages-English, Malay, Chinese Mandarin, and Tamil. Inside the MRT (metro), the announcements are made in all four languages and you can find different TV channels in each. Singapore adopted English as the common official language for education, business and government when it gained its independence 50 years ago. Almost everyone seems to speak it well, except for maybe some of the older people. 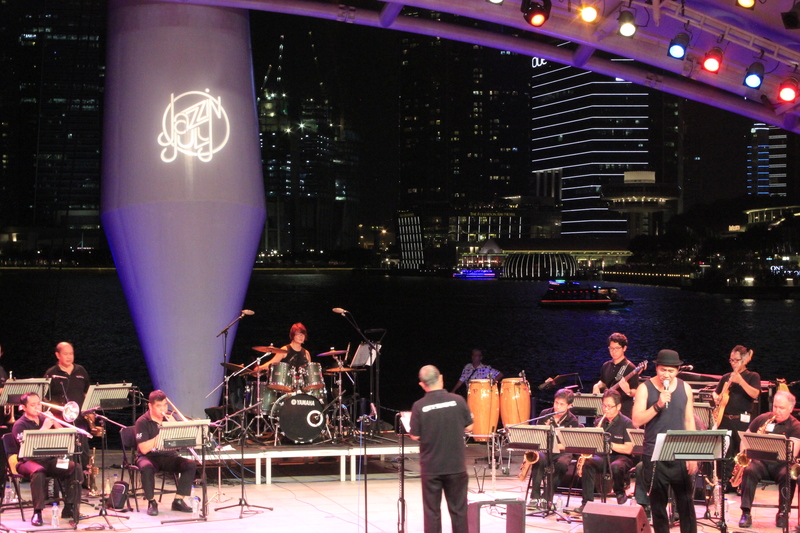 An interesting anecdote is that Singaporeans invented a new language called Singlish. The different ethnic groups have infused English with other words and grammar from their own languages- Mandarin, Hokkien, Cantonese, Tamil and Malay. This language is practiced on the streets and it’s an important part of the popular culture. 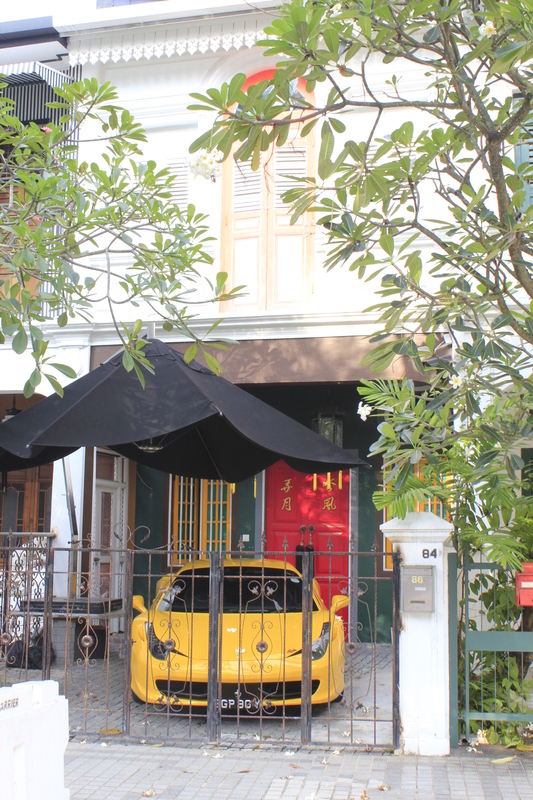 It is in fact part of the Singaporean identity and heritage and even appears in advertising campaigns. Singlish is spoken amongst friends and family and in informal situations such as buying food at the grocery store. A “real” Singaporean can speak both English and Singlish well. An example of how the language works is the common use of “lim kopi”; which means “having coffee”. The Hokkien word for drink is “lim” and the Malay word for coffee is “kopi”. People from Chinese, Malay, Indian (Tamil), Arab and Eurasian descent come together and manage to keep their cultures very much alive here. 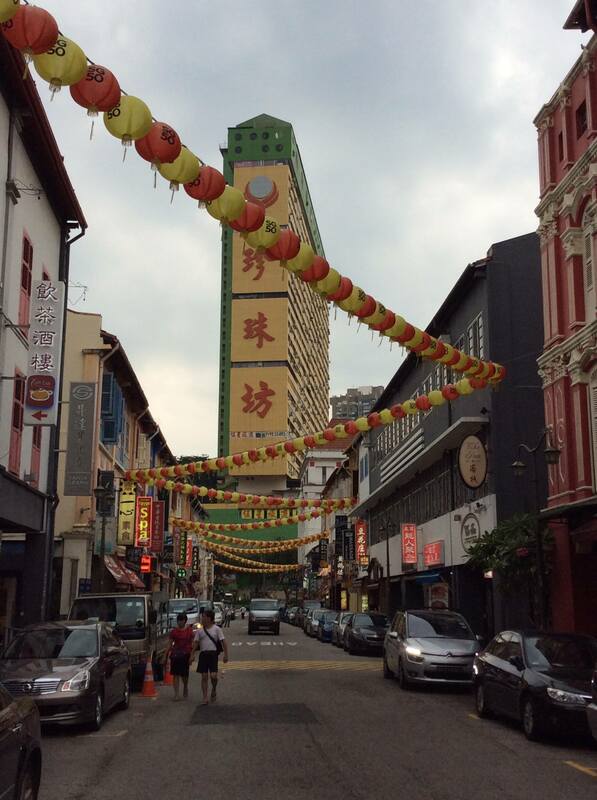 I visited China town and Little India on the same day and it was like being in two different countries. The landmarks, the language spoken on the streets, the food, the people, everything was different from place to place… If you have enough of one culture and want to experience another, just hop on the metro and get off at the next station. 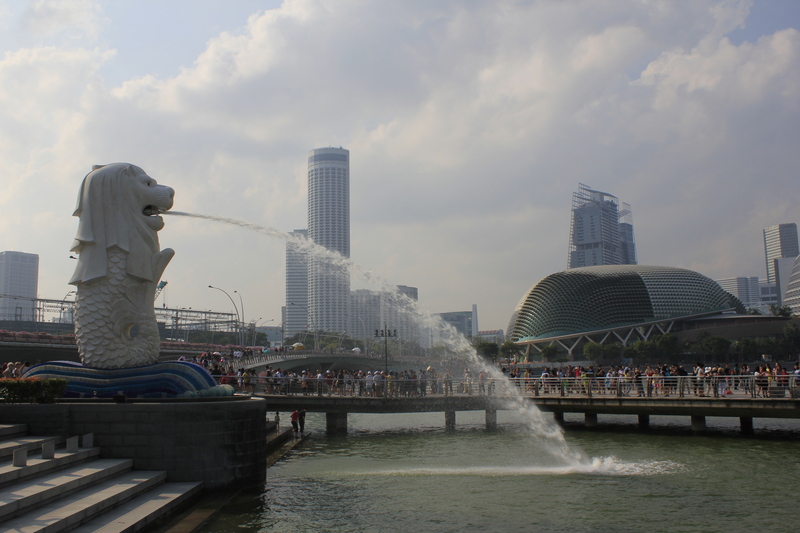 I concentrated my touring on the south part of Singapore; which is the island’s main city area where you can find most of the main attractions. 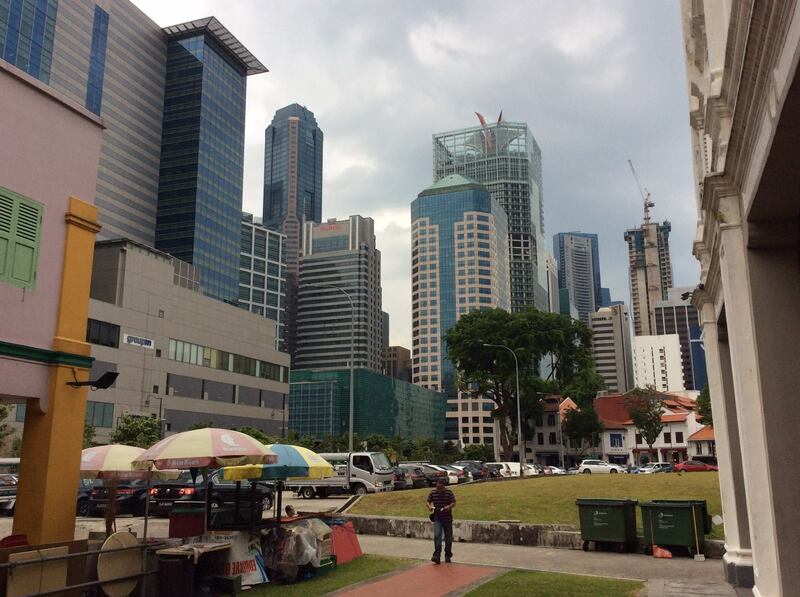 I visited Marina Bay, Gardens by the Bay, the Central business district & China town, Little India & Kampong Glam, Orchard Road & Emerald Hill and Geylang. I stayed in Geylang where I was able to find cheap accomodation (for Singapore); I got my own room and bathroom for $35/night. 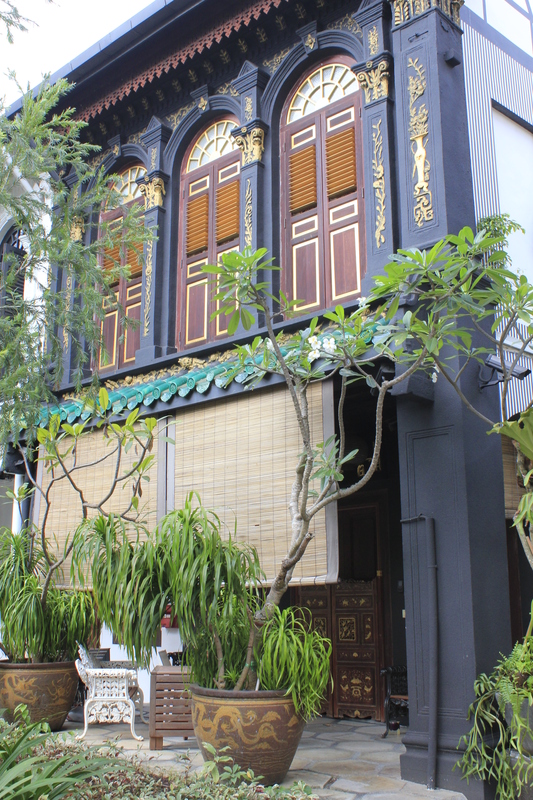 My last night in Singapore I decided to move to a hostel in the Bugis area in Kampong Glam to save a bit of money. I had been wanting to experience staying in a hostel dormitory again. I had not done that since I was 25. The bed only cost me $15 and breakfast was included. The hostel was very clean and organized. 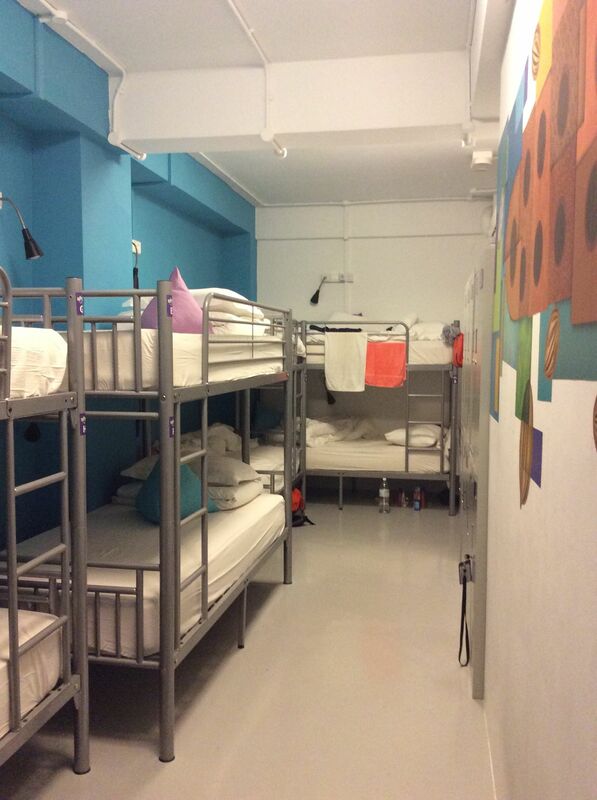 Each bed had its own reading light, electricity outlets, safety box and locker. Overall it was a good experience but it is hard to get a good night sleep as people come in and out of the room at all times. I thought I may be too old for the hostel world but to my surprise, I found other travelers in their late 30’s and even early 40’s staying there. Singapore is a shopper’s paradise. I think my fellow Colombians (who really like their malls and shopping) would really enjoy this place. There are shopping malls everywhere, even under ground inside the MRT stations. Orchard Road is where the big ones concentrate and where you can find all of the major designer boutiques. I am not a big shopper but I still enjoyed walking around the streets and inside the MRT stations seeing how much commerce they can fit into one city. The MRT stations are very impressive, they have various ATM’s from different banks, fast food restaurants, convenience stores, etc. The bathrooms are always clean and well stocked with soap, toilet paper, paper towel, etc. A nice change from Indonesia… I went to a couple of movies at the Shaw Center on Orchard Road. For some reason, movies are very cheap in this city, about US$5 per show. I had to take advantage of those low prices… who knows when I will get to go to a movie again during my travels. The best part of Singapore… the food! What comes with a multicultural society is the great variety in cuisine! 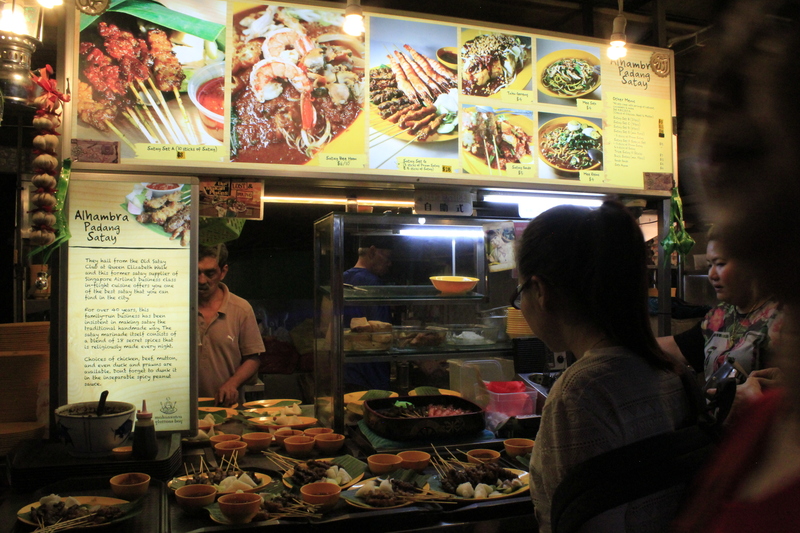 My favorite part of each day was finding a Hawker center to try different types of food. 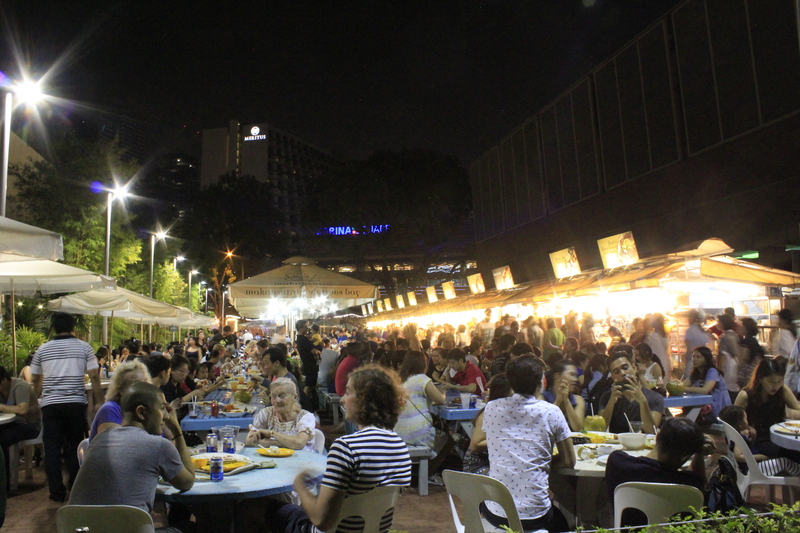 Hawker Centers are open-air complexes where you find many stalls serving different types of food at very low prices. I had amazing meals for just US$3-$5. I tried the famous Hainanese chicken; the roasted duck, sweet potato dumplings, Hokkien Mie (noodles), and this amazing Turkish pastry stuffed with lamb and beef (cannot remember the name). Two of my favorite places to eat were Kamansutra Gluttons Bay and the Maxwell Food Centre. 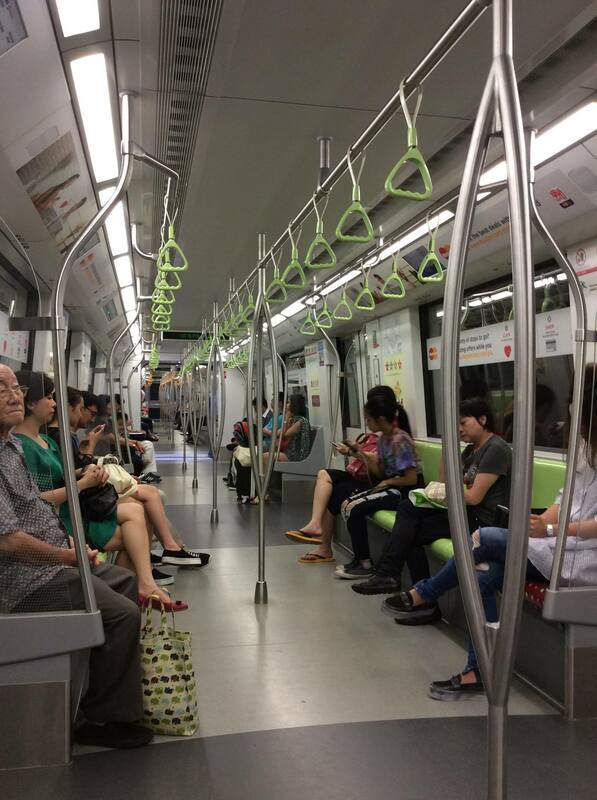 It is very easy to get around Singapore using the MRT lines. It is also safe to walk pretty much anywhere at night, even alone. There are people everywhere at all times, and the streets are well lit. I quickly learned to get around the city by metro and also by foot. I got to experience a major power failure in the MRT; which put two lines out of order and left hundreds stranded. The bus and taxi systems quickly became overwhelmed so I had to walk two miles at night to find my hotel. It felt safe and it was easy. 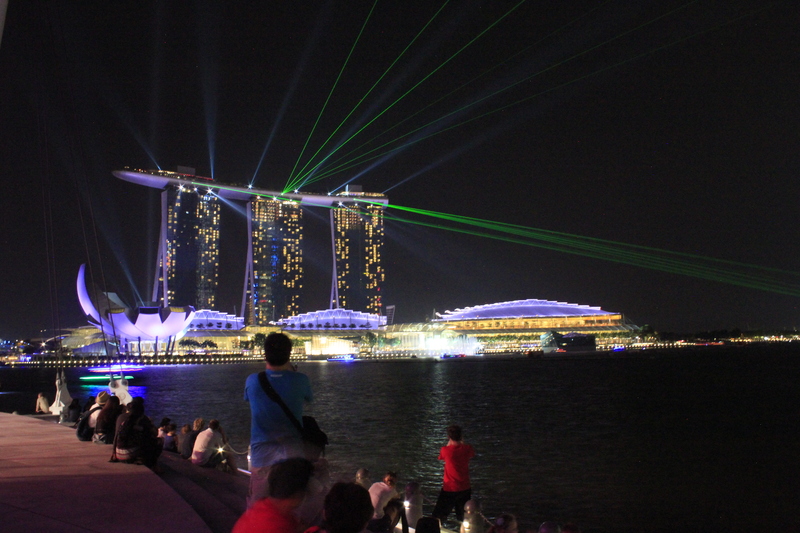 Some of my favorite moments in Singapore were watching the sunset while listening to a band play jazz at Marina Bay and walking from the Marina to the Gardens by the Bay at night and watching the nightly light show. 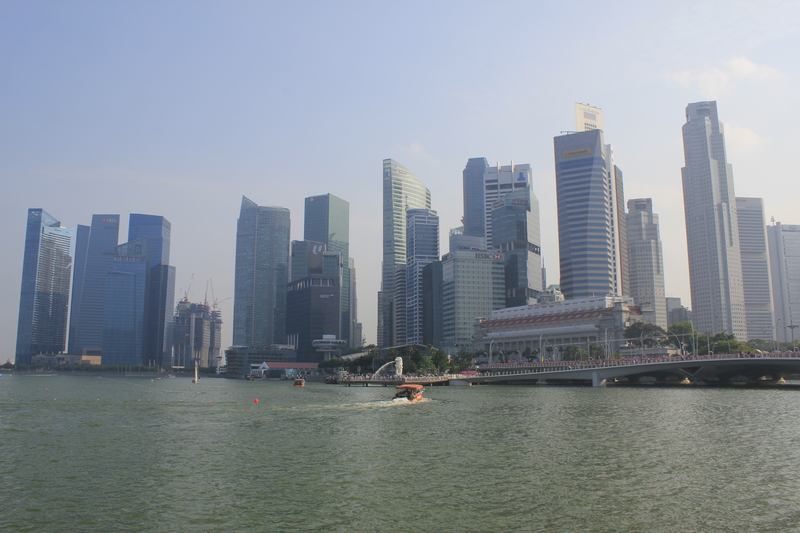 Here are some pictures: It was hard to leave the comforts of Singapore but I was starting to miss the third world already 😉 plus I have to watch my money so I can travel longer… so I decided it was time to leave after six days. My next stop is Borneo in Malaysia. I wanted a little adventure so instead of taking a flight from Singapore to Kuching in Borneo (the easy way), I decided to enter Malaysia through Johor Baru; which is right across the Johor strait, just north of Singapore. The airfare was cheaper from there and I wanted to experience taking the public buses to cross the border. The entire trip to the airport in Johor Baru cost me around US$8. I had to board a bus at the Queen St bus station near Bugis, then get off at the Singapore immigration center to emigrate, then get off again about 5 minutes later at the Malaysian immigration center to immigrate, then change buses again to reach Larkin, one of the main bus stations in Johor Baru. At Larkin, I was told that the next bus to the airport would not leave for another 1.5 hours and I had to be at the airport in 1 hour so I ended up taking a public local bus to Senai, the suburb where the airport is located. The bus driver dropped me off at a taxi station where I took a cab to the airport. It was an exhausting short journey but a fun re-introduction to the third world as I traveled in buses packed to the max with people practically sitting on each other’s laps and standing everywhere. I made it to the airport right on time for my flight to Kuching and now I am off to Borneo to see more nature and wildlife. 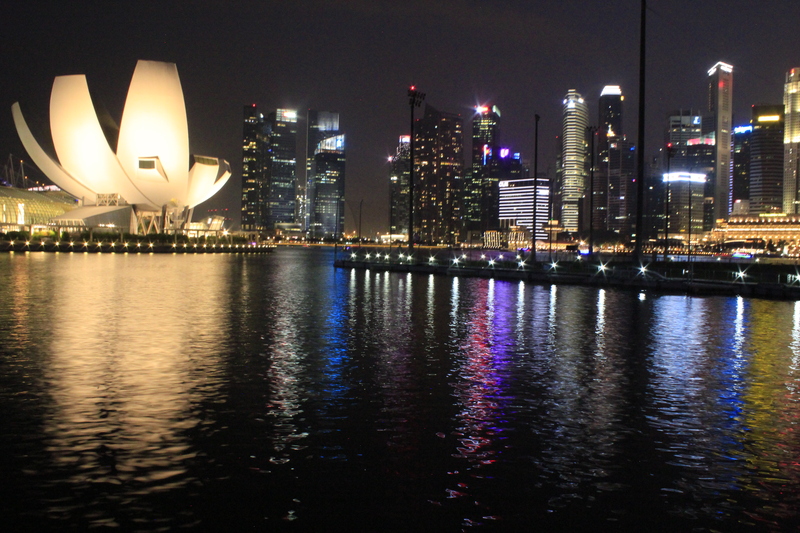 Wow Cata quiero ir a Singapore!! Espero que estés pasando un momento espectacular! Gracias por compartir. Un abrazo. QqUe Bueno Amiguita se be expectacular, te extraana aca tu GA lead boricua ! y yo a ti! a ver si me caes en alguna parte! en Diciembre??? Todo se ve impresionante! Ahora si que mi lista de tops sitios para visitar esta bien confundida con tantos sitios bellos q has visitado! Me alegro que ya llegaste a tus 2 meses (y ahora un poquito mas) con muchas energia y entusiasmo de seguir conociendo! Me dio hambre leyendo tu post de comidas. Me encanta leyendo de tus experiencias. I hope you keep having fun!